What is Vetiver Oil ? Vetiver essential oil has a thick consistency with a rich, complex woody and earthy aroma, that is musky and slightly sweet. It has a fragrant smokey overtone that lingers after its more complex aromatic components first entice the senses. It has often been used as a fixative and fragrance in perfumery, and like many wines, it improves with age. It is steam distilled from the roots of the fragrant grass. Vetiver essential oil has a rich heavy scent, so keep in mind when blending with others. With some oils, adding it in small proportions will bring out its best abilities to be an exceptional companion. However, it also blends extremely well with some of the heavier highly fragrant oils like patchouli, jasmine, ylang-ylang, and sandalwood. It can be an interesting addition to cedarwood, black pepper, geranium, ginger, clary sage, and rose, as well as the citrus oils such as bergamot, lemongrass, or orange. 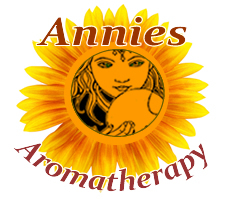 Use it in massage oils or try in mist sprays and air diffusers for reducing stress. By adding a little spice into the blend, it really brings a pleasurable grounding experience. For those who enjoy the earthy, woody, smoky scents, it is a key ingredient to an alluring personalized perfume oil that happens to be my favorite during the cooler months. I use it sparingly on a couple of pulse points, and although intensely fragrant, it soon unifies with the body and does not overpower. Botanical Information - Rituals & History : Vetiver is a fragrant perennial grass with deep roots and is often planted on hillsides to help prevent soil erosion. 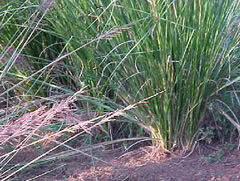 It is related to other fragrant grasses such as Lemon Grass and Palmarosa. Although native to India, where it was used in early Ayurvedic medicine, it is widely cultivated in Indonesia, Africa, West Indies and Polynesia.